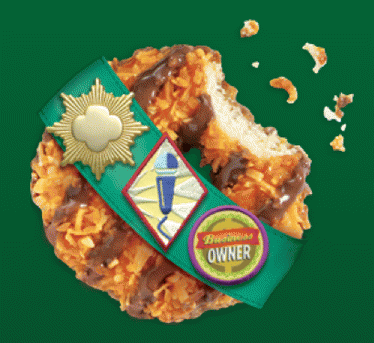 Girl Scout cookie season is upon us! 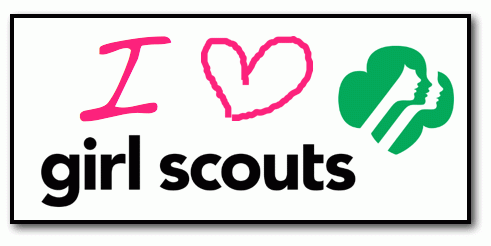 And March 12 is the 101th anniversary of the beginning of the Girl Scouts. In 1912, Juliette Gordon Low gathered 18 girls in Savannah, Georgia to register the first troop of American Girl Guides (later Girl Scouts of the USA). Now there are more than 3.2 million Girl Scouts and adult leaders throughout the U.S. and its territories. 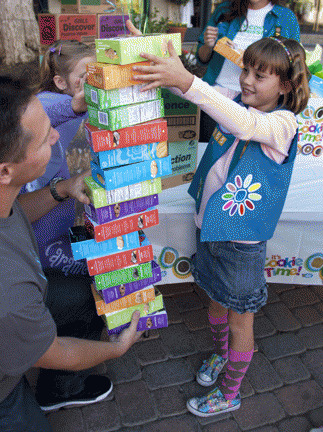 There are six age levels of Girl Scouts: Daisy, Brownie, Junior, Cadette, Senior, and Ambassador. 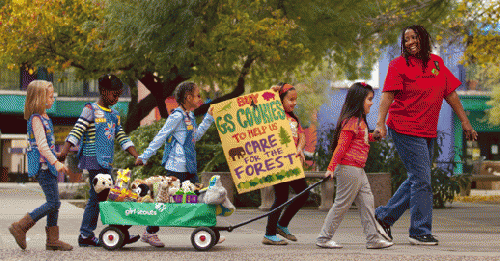 Members of Girl Scouts of the USA are part of an international family of 10 million girls and adults. 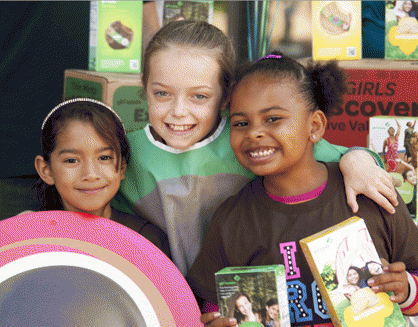 An estimated 59 million American women are former Girl Scouts. Girl Scouts of the USA CEO, Anna Maria Chavez, notes that "our cookie program isn't about cookies alone ... it's also about teaching girls five business skills -- goal setting, decision making, money management, people skills, and business ethics -- essential to leadership, to success, and to life." 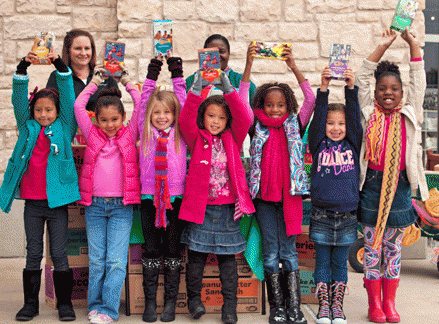 The Girl Scout cookie drive is the world's largest girl-led business. As of 2005 (the most recent statistics available), 71.5% of women in the US Senate and 67.1% of the women in the House of Representatives are Girl Scout Alumnae. And as part of their involvement in Girl Scouts of the USA, young girls also learn to honor inclusiveness and diversity. If you've been reading the news lately, you know that the Boy Scouts are having a hard time keeping up. 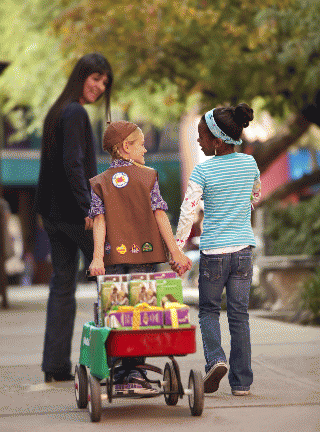 According to the Girl Scout website, "Diversity has been a core value of Girl Scouts since its founding in 1912. At a time of segregation and before laws promoting civil rights were passed, our founder, Juliette Gordon Low, ensured that African-American, American Indian and Hispanic girls were able to become Girl Scouts. She led efforts to make Girl Scouting available to girls who lived in rural and urban areas, to girls who were rich, middle class and poor, and to girls who were born in this country as well as immigrants...The foundation of diversity that Juliette Gordon Low established runs throughout Girl Scouting to this day. Our mission to build 'girls of courage, confidence, and character, who make the world a better place' extends to all girls of this nation. 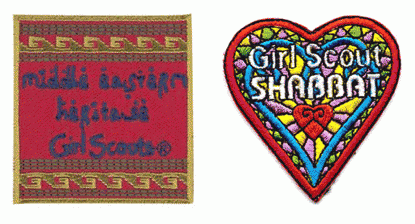 The Girl Scouts of the USA encourages members to establish for themselves the nature of their spiritual beliefs. Girl Scouts invites any member to substitute another word or phrase more appropriate to their personal beliefs for the word "God" when reciting the Girl Scout promise. Girl Scouts of the USA President, B. LaRae Orullian, noted that this is "a very strong statement that Girl Scouts continue to be on the cutting edge, and this is a continuing effort to show that we have strength in diversity and that we are an inclusive organization." I'm a Girl Scout ... what's your super power? Boy Scouts were founded in 1910, 23 months before the Girl Scouts, but that does not seem to have given them a head start in developing values of tolerance or diversity. I was so angry at recent displays of Boy Scout holier-than-thou small-mindedness that I went directly to the Girl Scouts online shop and bought myself two Girl Scout T-shirts and a pair of Girl Scout earrings. As a former Girl Scout, I couldn't be prouder of these girls and their organization, and now I wear my Girl Scout garb to proclaim that. Shouldn't the Boy Scouts be expected to live up to the high standards of the Girl Scouts? Or is it more than an accident that the initials for Boy Scouts are "BS"? 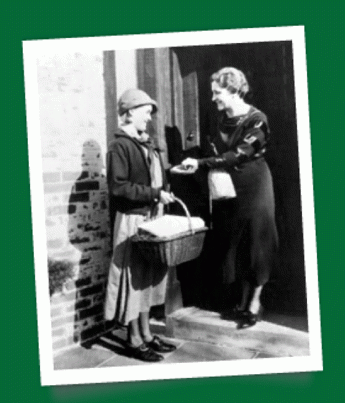 The earliest known Girl Scout cookie drive was in the Muskogee, OK, High School cafeteria in 1917. 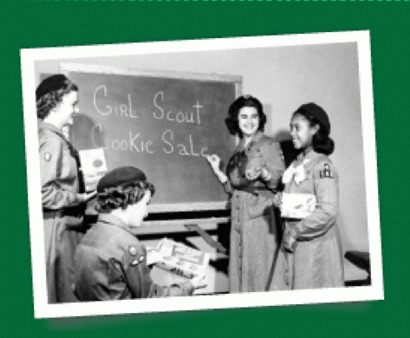 In the 1920s and 1930s Girl Scout Troops across the US held independent cookie drives with home-baked goods, at 25 cents per dozen. 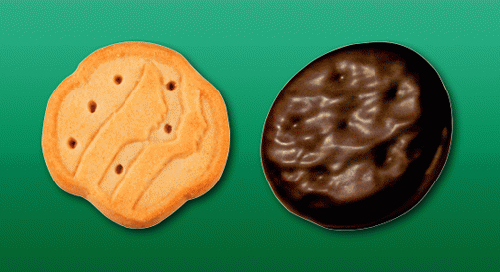 By 1951, commercial Girl Scout Cookies included the shortbread, the sandwich cookie and chocolate mint. 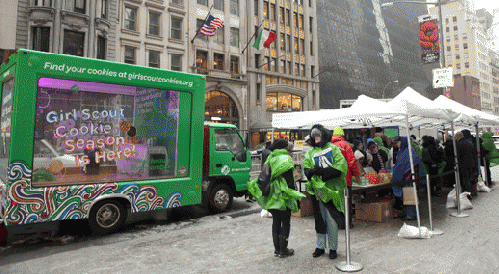 On Feb. 8th, 2013, National Girl Scout Cookie Day, scouts sold cookies in Manhattan via a mobile bakery. A huge blizzard didn't stop New Yorkers from waiting on line to buy over 5,000 boxes of cookies before the bad weather shut the truck down early. 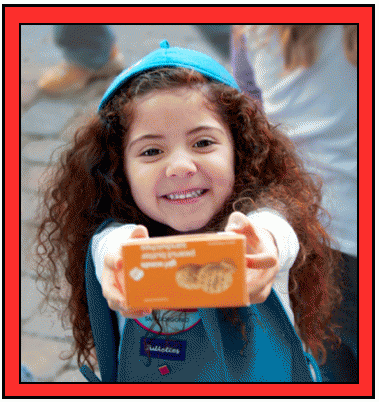 So, if you want to support the advancement of women, start with girls, and buy a box of cookies, or two. Or three. If you need help finding out where to buy some - you guessed it, there's an ap for that! Judging by these statistics, the Boy Scouts might want to wake up in time to stay in the race before they get left in the dust. But hey, that's the way the cookie crumbles. 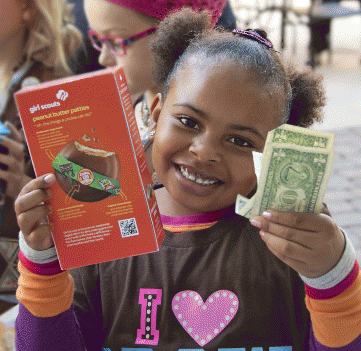 Some of the information for this article was based on an interview with Michelle Tompkins of Girl Scouts of the USA. View All 2 Articles in "Empowering Young Goddesses"